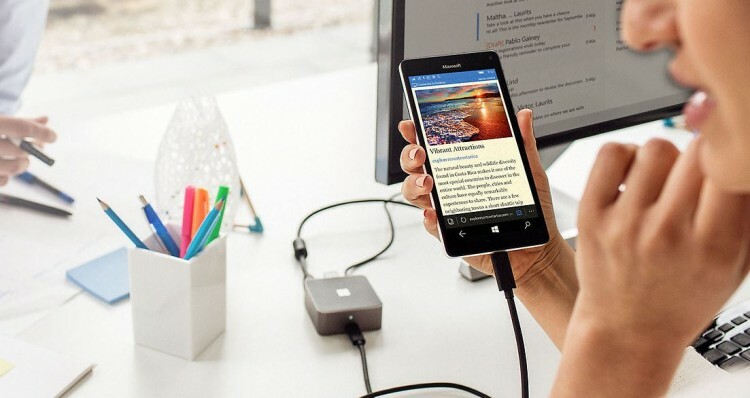 Hey Australians, If you recently purchased a Lumia 950/Lumia 950XL you are eligible to get your Display Dock for free from Microsoft.This offer is valid till 29th February,2016.So if you purchased a Lumia 950/950XL after 10th of November, you are eligible for free dock. All you have to do is use "Lumia Offers" app on your handset, and register for the offer code. Then use the offer code to claim your FREE Display Dock. Promotional code is non-transferable and not redeemable for cash. Valid only on original purchases made from authorised retailers in Australia between November 10 2015 and February 29 2016.PROMOTIONAL CODE MUST BE REDEEMED THROUGH THE MICROSOFT DISPLAY DOCK OFFER PAGE BY 5PM EAST AU TIME ON MARCH 31 2016 , WHILE SUPPLIES LAST. Limit one (1) gift per Microsoft account. The promoter will ship within 6-8 weeks of redemption to the mailing address in Australia supplied at the point of online redemption through the Microsoft Display Dock offer page . Any gift returned as non-deliverable will not be re-sent. Promotional code cannot be applied towards prior orders or purchases, cannot be transferred, or redeemed for cash or gift cards, unless required by local law. Void where prohibited or restricted by law. Microsoft reserves the right to modify or discontinue the offer at any time or provide a substitute item for redemption as it deems fit by providing advance notice of the change Offer provided by MicrosoftPty Ltd.